What is Paintless Dent Removal and Why Use It? Paintless Dent Repair (PDR), or Paintless Dent Removal, is a process of carefully massaging the metal back into its original shape without the use of fillers or paint. This can greatly reduce the cost of the repair. It also eliminates any potential problems in color matching, since the original paint is still intact. It takes skill and training to get the job done properly. At Dings and Dents Inc, our technicians have over 25 years of experience in auto-body repair and restoration, including Paintless Dent Repair, and always stay up to date in the latest PDR techniques. 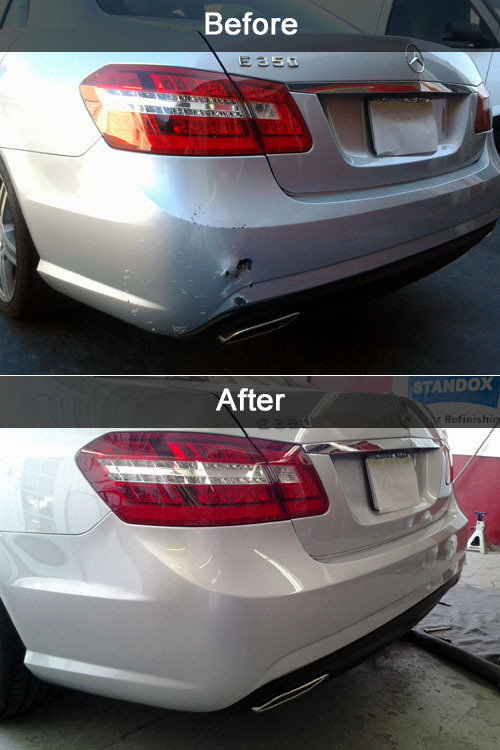 Paintless Dent Removal techniques can save you hundreds or even thousands of dollars in repair costs. Many dents can be fixed while you wait. Although not all dents can be fixed using PDR techniques, we will provide you a free estimate for your repair requirements. Call or come in today and let us determine if PDR is right for you. LET US INSPECT YOUR LEASED VEHICLE FOR FREE! Our PDR services could save you lots of money before you turn it in! Connect with Dings & Dents! For fastest service, call during business hours, or use the short form below to send a question.